Design a Samsung Galaxy J7 (2017) case. A custom made phone case at your finger tips. Quickly and easily make a Samsung Galaxy J7 2017 phone case. Create a unique Samsung Galaxy J7 (2017) silicone case. The Samsung Galaxy J7 (2017) silicone case gives your phone a reliable protection. The term silicone case says it all! This case protects your phone from various of falls, bumps, and scratches. To achieve optimal protection, this case is made from flexible silicone which provide protection on the sides and back of the Galaxy J7 2017. This silicone case is therefore ideal for your J7 2017 and it does not hinder the phone's functionalities. You are able to charge, adjust the volume, and more without taking the case off! Personalising my Samsung Galaxy J7 (2017) case is easy! 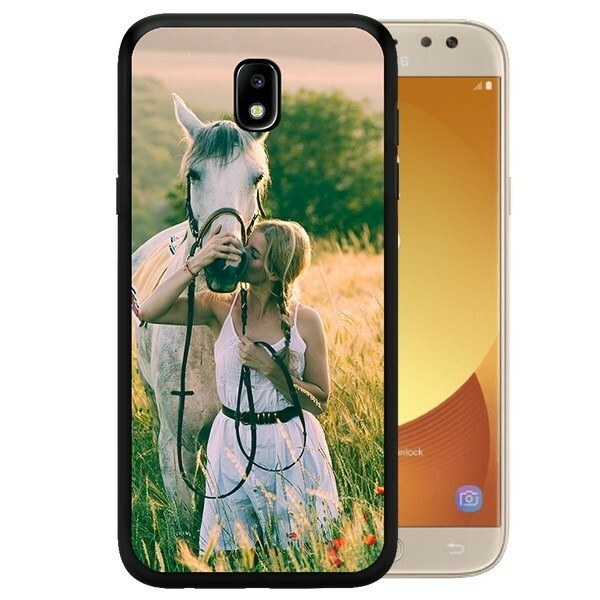 Design a Samsung Galaxy J7 2017 case in our super easy and user friendly design module. The only hard part about designing your Galaxy J7 2017 case is choosing the final design. In the design module you are able to choose upload your own photo, image, and designs or you can you use one of our own. Take your time designing your own Galaxy J7 2017 case until you are 100% satisfied with how it looks. 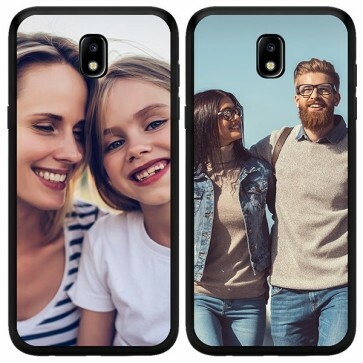 Do you keep falling in love with your case every time you see it? Then press "Finish Order." As soon we receive your order all you have to do is sit back and relax. we will start working on it immediately. We also offer different shipping methods depending on your needs. The FAQ can be found at the bottom of the website. If you cannot find your question there, please contact our customer service by sending a message to support@gocustomized.co.uk. We look forward to helping you!